GTE recruits from some of the top MBA and Bachelors programs for the staffing of the search teams. Search teams are tasked by their leading Operator-In-Residence (OIR) to identify and research potential acquisition targets or deal partnerships. Asa is a first-year marketing and business information systems double major at the University of Pittsburgh. In addition to his academic pursuits, he is a member of several student organizations including Enactus, the League of Emerging Analytics Professionals, and Behavioral Economics club through which he has completed several consulting projects with local companies and competed in case competitions. Asa’s other interests include playing tennis and basketball, performing with his cello, exploring Pittsburgh and doing anything outdoors-oriented. At GTE, he looks forward to honing his financial modeling and market research skills. Ian is currently a freshman attending the College of Business Administration at the University of Pittsburgh. In addition to working with GTE, Ian is also involved in Pitt Business DECA, a recognized collegiate case competition organization. During the past three summers, he has worked at the Hecht Tennis Center as a camp counselor for the University of Pennsylvania Tennis Camp. Ian entered this internship determined to gain insight into company operations and build his network within the business world. Elizabeth is a senior accounting and finance major at the University of Pittsburgh. In addition to her academic career, she is a member of Pitt's CFA Institute Research Challenge Team, Stock Trading Club, and Women's Club Soccer. Elizabeth also spent a summer working and living in Madrid, Spain. In her free time, she enjoys working out, trying new foods, and traveling. While at GTE, she is excited to continue to develop her analytical and financial modeling skills. Paul is a 2017 graduate of Boston College with a degree in Mathematics, and he is currently enrolled in Pitt's Master of Science in Finance program. Through his masters program and his internship at GTE, Paul hopes to build his skill set and knowledge base for a career in financial services. He has a particular interest in investments, stemming from an internship at Integrated Capital Management, a boutique firm in Scranton, Pennsylvania, and would enjoy exploring this field further. At GTE, Paul is most excited about the opportunity to learn about the finer details of the process whereby OIRs discover value in a company and ultimately put a price on it. Outside of work and school, Paul likes running, reading, and going to concerts. Serena is a senior Accounting major at the University of Pittsburgh. She is currently the business manager of a Pitt organization and has had internships abroad. She is also very passionate about business research. Her next goal is to get a CPA and work as a consultant in the financial industry. While at GTE she is excited to learn more about investing, search funds, and financial modeling. Mike is a senior Sociology major at the University of Pittsburgh. He is a Pittsburgh native who will graduate in the spring. He is excited by the startup culture and hopes to learn more about running a business from his time at GTE. He is always learning about his interests, which include: politics, technology, trading and cryptocurrencies. Luke Is a senior financial economics major at Washington & Jefferson College and has one previous management role. A football player for 12 years, including at the collegiate level, he was fortunate enough to play a football game overseas in Ancona, Italy. He also holds the position of scholarship chair in his fraternity, Fiji. Luke's next goal is to find an entry level financial analyst position while possibly completing a master's degree in finance. While at GTE he is eager to gain further knowledge on financial analytics, financial modeling and forecasting as well as insight on the search fund process. Hafeez is a senior finance and business information systems double major at the University of Pittsburgh. He is also minoring in economics and pursuing certificates in business analytics as well as innovation and entrepreneurship. Outside of class, Hafeez spends much of his time on the turf, in the gym and on the track in pursuit of a national championship with Pitt's mens ultimate frisbee team. Hafeez can always be found listening to music or lamenting over the lack of talent on the Chicago Bulls. At GTE, he looks forward to growing his financial modeling and industry analysis skills. Claire is currently pursuing a Bachelor of Science degree in Computation Finance from Carnegie Mellon University. Aside from classes, she worked as an investment banking analyst intern and performed due diligence for a Canada - China M&A deal in the biotech industry. In the past, Claire has worked as a research intern in the Computational Finance department, where she was first exposed to quantitative finance. The research is about alternating fee structures and utility functions for agents to align agent incentives with client’s interests. 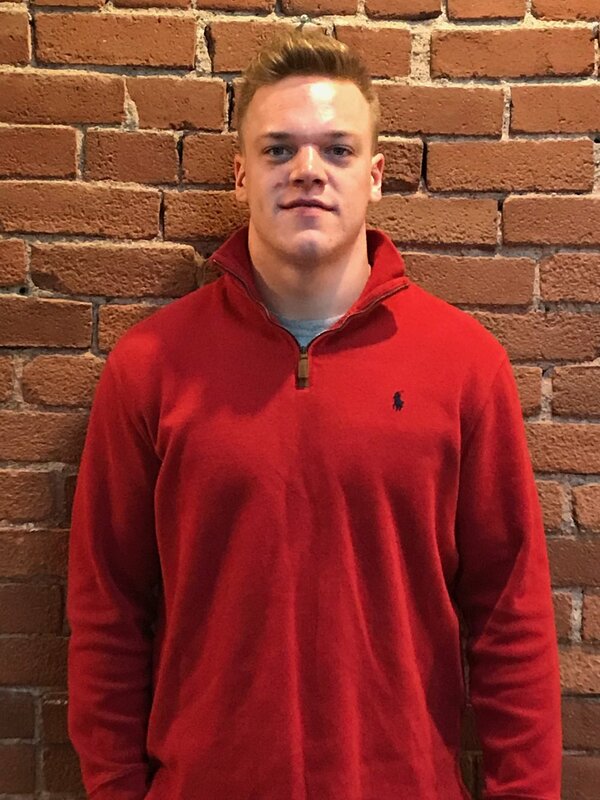 Andrew is currently a junior pursuing a BS in Finance and Business Information Systems at the University of Pittsburgh's College of Business Administration. He hopes to work in finance or consulting upon graduation in the Spring of 2019. He is originally from Princeton, New Jersey. At GTE, he is looking to gain hands on experience and exposure to the world of private equity. Aaron is a second-year undergraduate student at Carnegie Mellon University where he is studying finance and statistics. Apart from his courses, Aaron is involved in the Tartan Student Fund, a student-run investment club, and the All University Orchestra, an orchestra comprised of non-music majors. Aaron has previously worked as a finance intern for a startup in New York. He has learned a great deal about the finances and operations of a business from that experience, and he hopes to continue learning while at GTE. Nick is a freshman at the University of Pittsburgh currently pursuing degrees in Finance and Marketing. He has past internship experience working in the Med Ed and Medical Science Liaison fields, working to develop creative marketing plans to reach clients. Originally from New Jersey, Nick is a cryptocurrency investor and portfolio manager as well as a brother of Delta Sigma Pi business fraternity. Other hobbies include playing soccer, poker, and fishing. He hopes in his time at GTE that he can gain more knowledge on venture capitalism and analytics as well as experience a new team environment. Luke is a Junior at the University of Pittsburgh, majoring in both Finance and Marketing. In addition to his academic pursuits, he serves on the executive board of his Professional Fraternity, Phi Gamma Nu, as Director of Membership. Luke is also experienced in financial analysis, having interned at a local hospital through Penn Medicine this past summer, where he created and refined models valuing multi-million dollar projects. His other interests include traveling with his family, working out, skiing, and reading with his dog, Molly. At GTE, he looks forward to improving his modeling skills and learning more about Private Equity, while ultimately preparing for a career in Wealth Management or Investment Banking. Matthew is a sophomore at the University of Pittsburgh majoring in finance and marketing. In addition to his academic pursuits, he is a member of Pitt Collegiate DECA, Pitt Business Review, Pitt Business Philanthropy Board, and the Pitt Business LEADS Program. Matthew’s other interests include playing basketball and baseball, making music, and collecting records. At GTE, he looks forward to working in a business environment while working on a variety of projects. Patrick is a senior undergraduate student at Duquesne University working towards a major in Economics and a minor in legal studies. In the fall of 2015 he had the experience of studying abroad in Rome, Italy where he was immersed in a culture of a city, which at one time was the center of the world as well as other places across Europe. Patrick is a passionate sports fan, predominantly for the Philadelphia Flyers and has a love for history specifically the Medieval and Renaissance eras. He is currently deciding between law school and pursuing a degree in computational finance to start a career in banking. Born and raised in western Pennsylvania, Andy graduated from Grove City College, graduating in May. He earned a degree in Marketing and minored in analytics. There he was active in the marketing society, volunteering in the community, writing for the newspaper, and playing division 3 baseball. 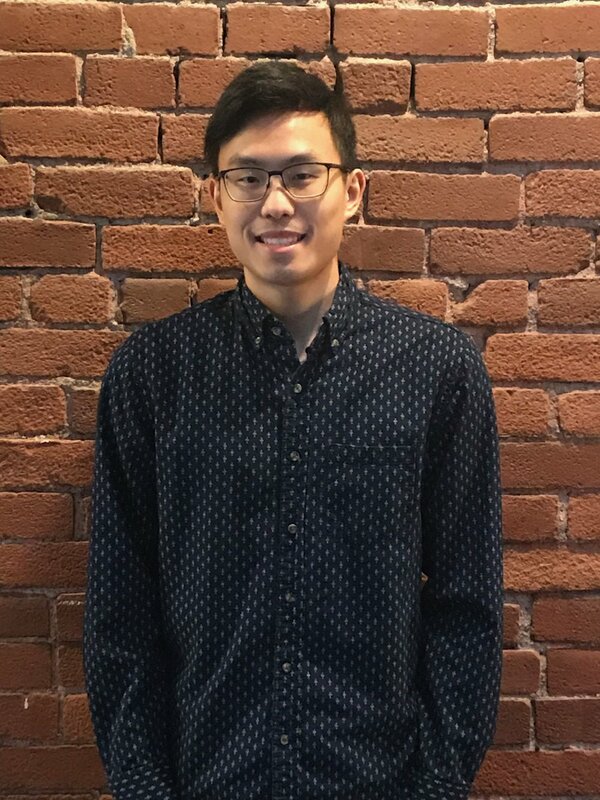 While at GTE, he looks forward to gaining valuable networking experience along with knowledge in financial modeling, analytics, and venture capital. His next goal is to pursue a career as a business analyst. He dreams of going to graduate school and working his way towards owning his own business. Vitas, a Finance and Accounting double major, is a junior at Youngstown State University and has prior experience in researching roles. Along with interning and being a double major, he is a division 1 college football player. His goals for the future would be to secure a job in financial analysis and incorporate financial modeling, research, and deal making into his everyday tasks. He is excited to learn the different stages of the deal flow at GTE along with sharpening up his financial modeling and research skills.